Temporary & Electric Fencing Energizers Solar Powered Power and Portability! 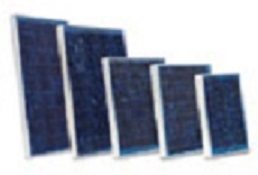 Kit includes: Stafix X1 Energizer, 10 watt Solar Panel with voltage regulator. Solid steel, powder-coated frame and Battery Box. 12-volt deep cycle battery sold separately. 2-Year Warranty, Lightning Included. Temporary & Electric Fencing Energizers Solar Powered Power and Portability! Kit includes: Stafix X2 Energizer, 20 watt Solar Panel with voltage regulator. Solid steel, powder-coated frame and Battery Box. 12-volt deep cycle battery sold separately. 2-Year Warranty, Lightning Included. Temporary & Electric Fencing Energizers Solar Powered Power and Portability! Kit includes: Stafix X3 Energizer, 30 watt Solar Panel with voltage regulator. Solid steel, powder-coated frame and Battery Box. 12-volt deep cycle battery sold separately. 2-Year Warranty, Lightning Included.